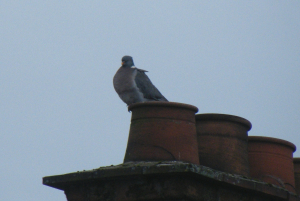 Observation - Very urban woodpigeon - UK and Ireland. Description: Feeling the chill despite the milder weather? Feeling the chill despite the milder weather?